The Lantern Tap House (1004 S. Perry St.) features beers by Oregon Coast brewery Pelican for its 10th anniversary celebration. That starts Thursday at 5 p.m. with the tapping of Pelican’s new Pink Panther India pale lager, benefiting the Pink Boots Society to support women in brewing. Pelican’s Katch Kolsch, Fly’N Dry Brut IPA and Hazy Rock Juicy IPA also will be on tap Thursday through Saturday ($5 pints), along with cellar vintages of Queen of Hearts gin barrel saison and Belgian-style Raspberried at Sea. Listen to live music Friday and Saturday at 10 p.m.
And No-Li is honoring the Lantern with a souvenir pint glass. Get one with the purchase of selected beers at the No-Li pub on Mondays this month. Coeur d’Alene’s Filling Station on 5th (501 Sherman Ave.) marks its fourth year of operation Saturday from noon to 10 with selections from Seattle’s Fremont including Wandering Wheat, Parkland Pils, Sky Kraken hazy pale, Head Full of Dynomite hazy IPA, Lush IPA (regular and cask with raspberries, mint and Mosaic hops) and a four-year vertical of B-Bomb barrel-aged winter ale. Next year will bring a double anniversary. A second Filling Station just opened in Post Falls at 306 Spokane St. with 32 taps and a full pub-style food menu. Post Falls Brewing (112 N. Spokane St., Post Falls) celebrates its third anniversary April 19-20 with new beer releases, food trucks both days and live music including a Saturday night performance by Seattle’s Weener (a tribute to Ween, whose songs have inspired several of the brewery’s beer names). Paragon Brewing (5785 N. Government Way, Coeur d’Alene), which recently added a brewery next to its restaurant/pub (as originally planned), has released its first house beer: the appropriately named Genesis Pale (5.6 percent alcohol by volume). Four more are scheduled to be on tap in time for Paragon’s fifth anniversary May 4. A new Idaho state law allowing contract brewing clears the way for Hayden’s Bombastic to pursue its original business plan of leasing space at other breweries to produce its standard beers. Bombastic has focused on limited bottle releases of specialty styles from a small pilot system since launching two years ago. Precious Things Fermentation Project, a new home-based nanobrewery, will have its grand opening April 20 at 2 p.m. at 8403 N. Bruce Road. Home-based Bardic Brewing, which has been distributing cider to area bars and restaurants, has received federal approval to start making beer and is awaiting its state license. 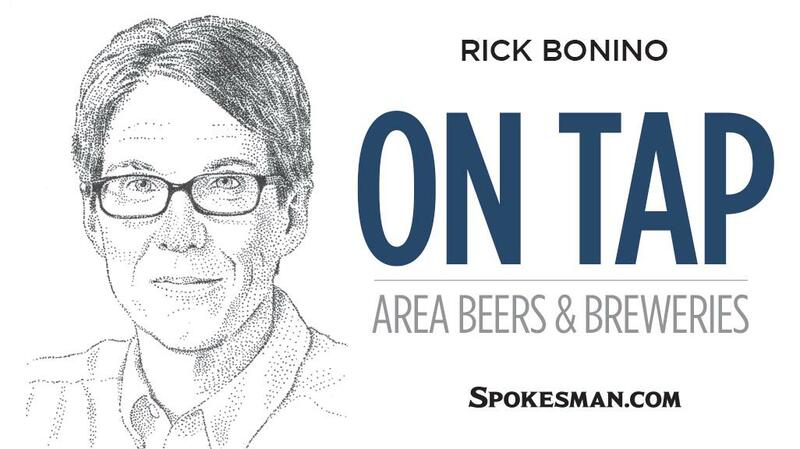 Bardic eventually plans to open a Spokane Valley brewpub. Brewery-in-progress YaYa (11712 E. Montgomery Drive, Spokane Valley) is finalizing its federal and state licensing in preparation for a planned midsummer opening. On the flip side, Downdraft has closed its doors for a second time. The Post Falls brewery originally shut down in November 2017 following three years of operation, but was revived in January 2018 by a former employee. A collaboration Thai One On saison (6.3 ABV) with lemongrass and Thai chili at Perry Street (1025 S. Perry St.) and Whistle Punk (122 S. Monroe St.). A new imperial IPA (8.7) at Whistle Punk hopped with Azacca, Mosaic and Simcoe for notes of pineapple, mango and grapefruit. A fruity, Citra-hopped Junkie Juice IPA (7.1) at Millwood Brewing (9013 E. Frederick Ave.). A Belgian-style pale (6.7) with coriander and orange peel at Badass Backyard (1415 N. Argonne Road, Spokane Valley). An amber Hildi the Lager (5.2) at Waddell’s Brewpub (6501 N. Cedar Road). The OohWheeat pale (5) at Black Label (19 W. Main Ave.). An Imperial Milk Brown Ale (8.3) with lactose, vanilla bean and cold brew coffee at Humble Abode (1620 E. Houston Ave.). A single-malt, single-hop ale (5) made with Genie barley grown in Reardan and Pahto hops at The Grain Shed (1026 E. Newark Ave.). The big Double Tap Blonde (9.8) has returned at Mad Bomber (9265 N. Government Way, Hayden). Community Pint (120 E. Sprague Ave.) features six “Game of Thrones”-inspired beers by New York’s Brewery Ommegang from Thursday through Sunday, with taster flights. There’s “Thrones”-themed trivia Saturday at 7. Breakside’s Coco Breakfast Oligarch barrel-aged Russian imperial stout will pour at Republic Pi (611 E. 30th Ave.) on Thursday starting at 4 along with True Gold golden ale and the Wanderlust and Kids These Haze IPAs. Beerocracy (911 W. Garland Ave.) rolls out five barrel-aged beers each day April 18-21 for its second Barrel-Palooza. Badass Backyard’s first bicycle brewery crawl of the season departs from the taproom April 20 at 7 p.m. following food by the Crepe Café Sisters. Celebrate an early Easter at English Setter (15310 E. Marietta Ave.) on April 20 with a new IPA release. Big Barn (16004 N. Applewood Lane, Mead) hosts a potluck-style wild game feed with Backcountry Hunters & Anglers on April 20 from 6 to 8 p.m.